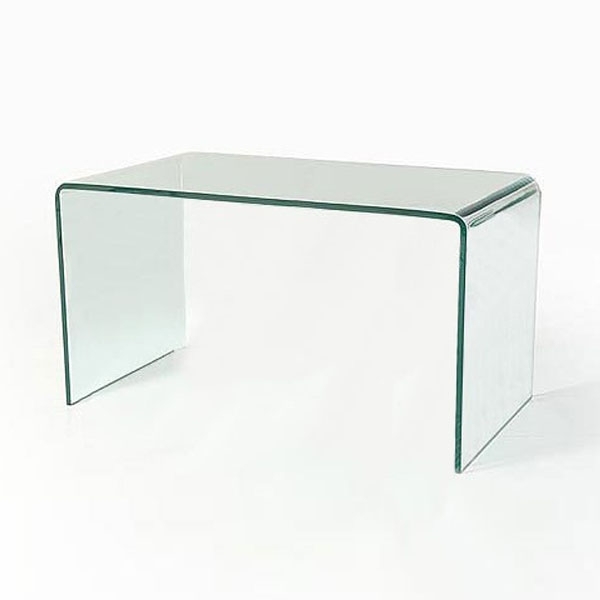 Don't miss our ever-popular glass coffee tables range. 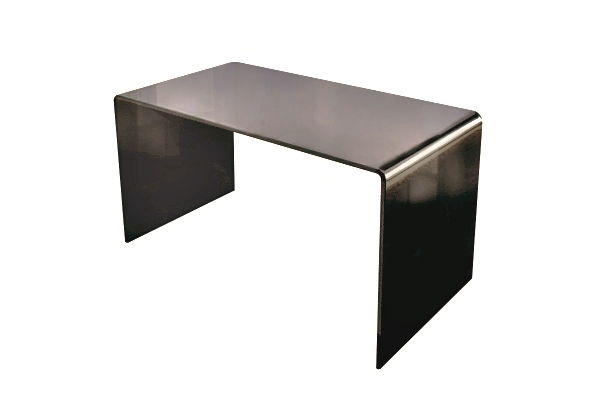 Don't miss our ever-popular glass console tables range. With a well established parent company who has operated in the contract furniture market for 25 years, we are committed to providing each customer with the highest standards of customer service. 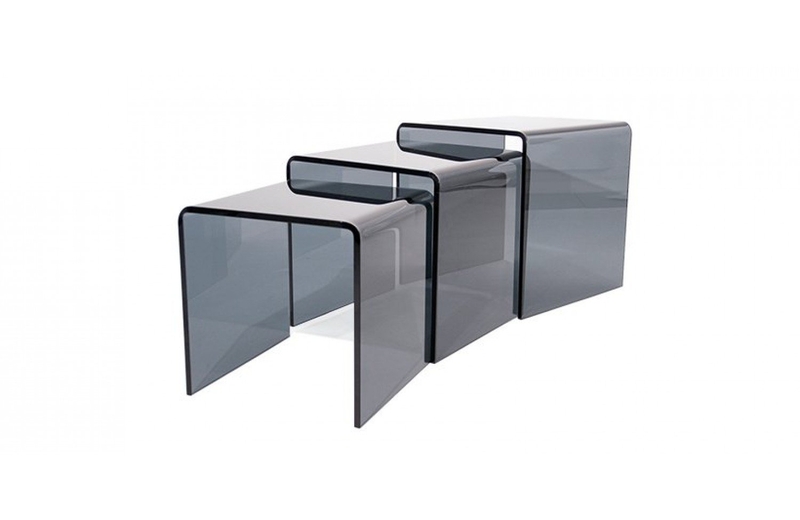 A modern and contemporary smoked glass nest of 3 tables with two small tables fitting neatly under a longer table. This provides the flexibility of being able to be used as a small coffee table with the option of space saving tables which can be utilised as side tables. Made from 12mm thick bent glass, a quality substantial product and excellent value. A contemporary yet compact glass coffee table with the clean lines that you would demand from a modern piece of smoked glass furniture. Both practical and stylish, made from 12mm thick bent glass. A quality substantial product offering real value. 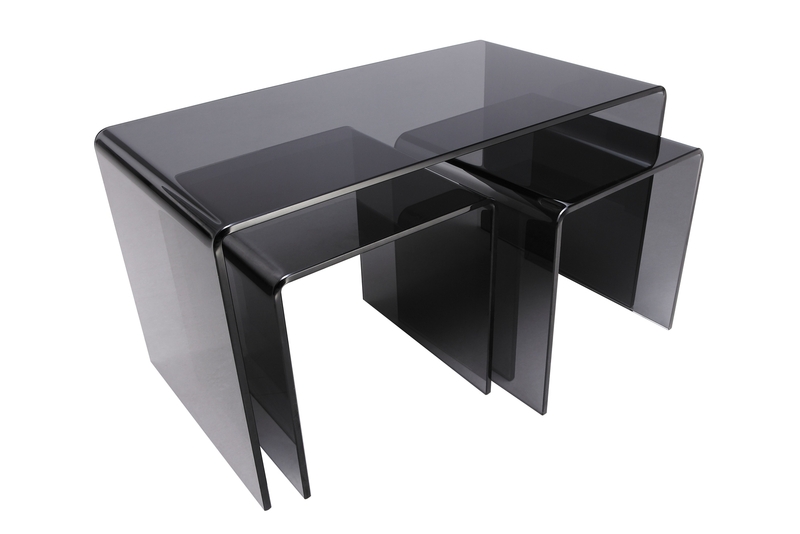 A classic modern and contemporary smoked glass nest of 3 tables which fit neatly inside each other. As well as looking a fantastic piece of glass furniture on its own, the space saving tables can be pulled out and used as side tables to suit all forms of seating. Made from 12mm thick bent glass, a quality substantial product and excellent value. 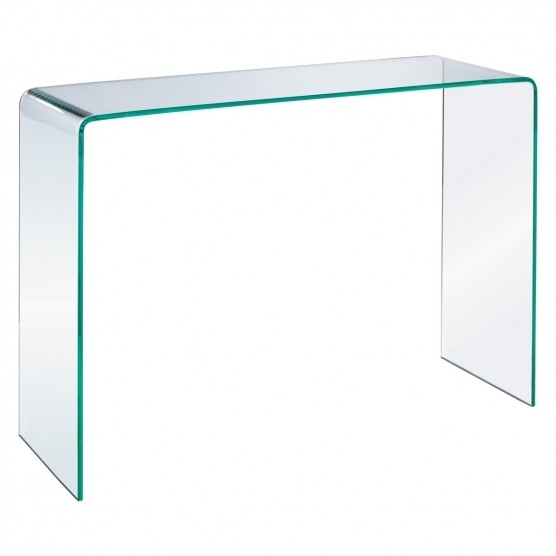 A modern compact glass console table featuring square corners, which is both practical and very stylish. With a contemporary design and made from 12mm thick bent glass, this is a quality and substantial product offering real value. A contemporary yet compact glass coffee table with the clean lines that you would demand from a modern piece of glass furniture. Both practical and stylish, made from 12mm thick bent glass. A quality substantial product offering real value. A very stylish yet practical glass coffee table small which is perfectly proportioned in terms of both its length and width. 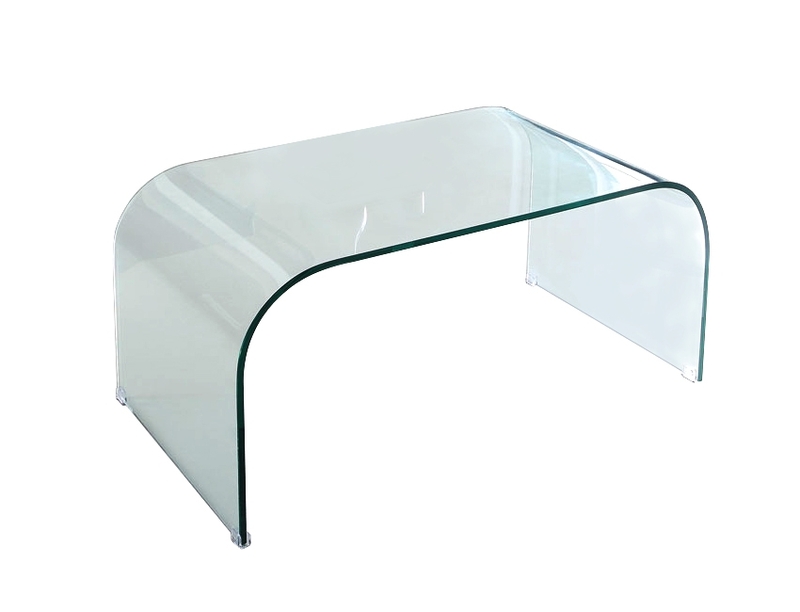 Ideally designed for that smaller location and featuring rounded corners, this exquisite piece of glass furniture made from 12mm thick bent glass is a quality substantial product offering excellent value. 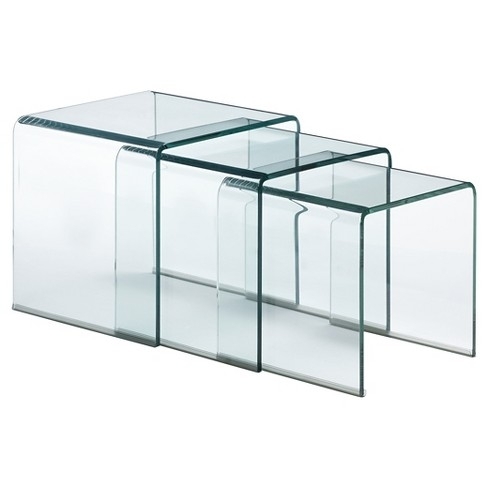 A classic modern and contemporary clear glass nest of 3 tables which fit neatly inside each other. As well as looking a fantastic piece of glass furniture on its own, the space saving tables can be pulled out and used as side tables to suit all forms of seating. Made from 12mm thick bent glass, a quality substantial product and excellent value. © Glass Tables Online 2019. IT IDEAS (GB) LTD is Registered in England and Wales. Number 6966649.